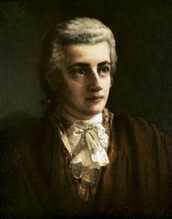 Wolfgang Amadeus Mozart was born January twenty-seventh, seventeen fifty-two in Salzburg, Austria. With a strict father, Leopald Mozart, Wolfgang was to have high expectations. Being so, Wolfgang knew how to write notes before he could write his own name. By age nine, he had written his first symphony, Symphony No.1. He quickly gained fame and began composing for world famous events and people. The map (above) depicts Mozart's hometown of Salzburg, Austria in 1899. The old map shows the road systems at the time. Requiem was Mozart's final piece, even though he did not finish. After dying, his wife hired Mozart's past students to secretly finish the piece. After the situation became less popular, Mozart's wife admitted to the fraud, stating she needed the money to support her family. Though Mozart was very popular as a child, his fame decreased as he aged. When he finally died at age 35, his body's location was unknown, and is still is a mystery. Today he is known as a brilliant musician, and his works are preformed in different styles everywhere. 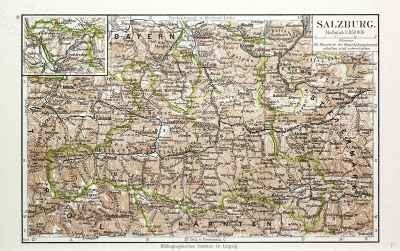 "Britannica ImageQuest - Map of Salzburg, Austria - 1899." Britannica ImageQuest. Liszt CollectionUniversal Images Group. Web. 3 Dec. 2015. "Wolfgang Amadeus Mozart - Requiem Mass in D Minor K. 626." YouTube. 25 Aug. 2012. Web. 3 Dec. 2015.